FF pullover in 1x1 technique with inserted sleeves, jersey-tuck stitch structure and pointelle. Pullover knitted with 3 threads. *Programs for front, back, sleeves and trimming available. *Stoll-flexible gauge® with Pullover, 0510181, with 1 thread, and Pullover, 0510182, with 2 threads. FF Pullover in 1x1 Technik mit eingesetzten Ärmeln, Rechts-Links-Fangstruktur und Petinet. 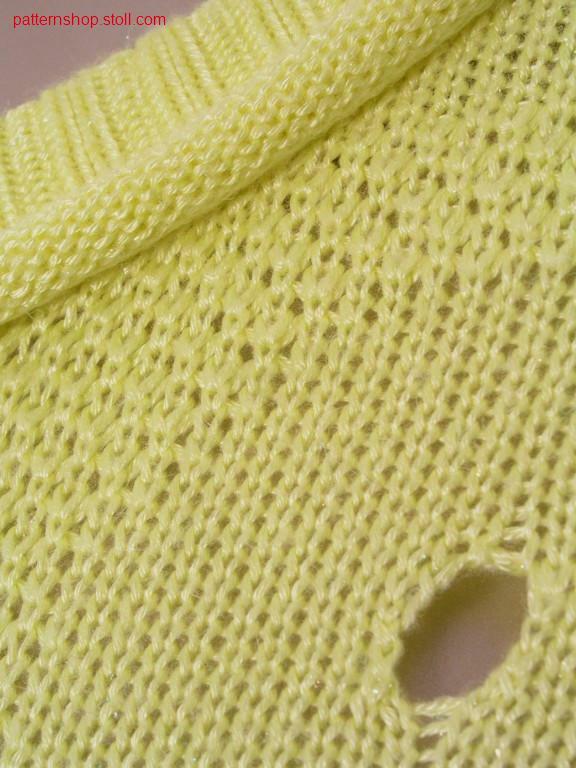 Pullover mit 3 Fäden gestrickt. *Programme für V-Teil, R-Teil, Ärmel und Blende verfügbar. 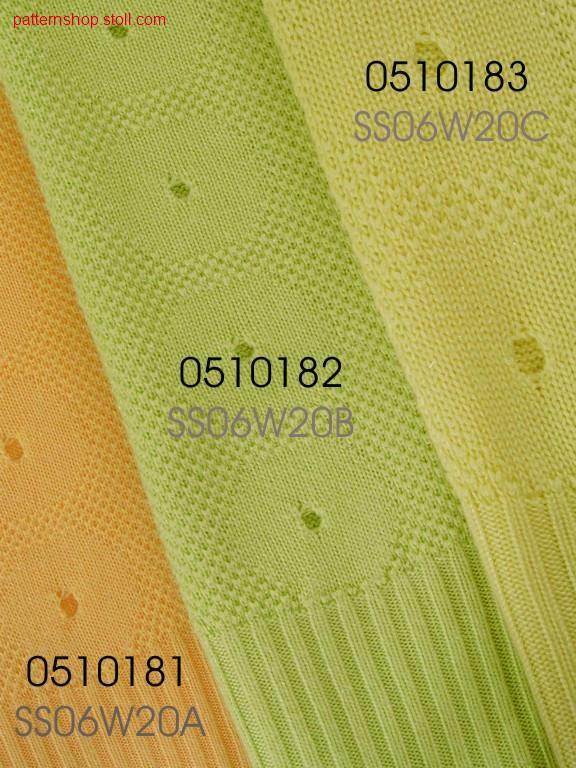 *Stoll-flexible gauge® mit Pullover, 0510181, mit 1 Faden, und Pullover, 0510182, mit 2 Fäden. 1 tailor's trimmings_1 / Zutaten_1 3 min. 19 sec. 0.7 m/sec. 1 Front(s) / V-Teil(e) 8 min. 53 sec. 0.7 m/sec. 1 Back(s) / R-Teil(e) 5 min. 51 sec. 0.7 m/sec. 1 Sleeve(s) / Ärmel 4 min. 35 sec. 0.7 m/sec. Subscribe to the free Patternshop newsletter and ensure that you will no longer miss any of our Patternshop offers or news.